Field of View (FOV) represents the ground swath width. However, a trade off exists between field of view and spatial resolution. As you increase one, you decrease the other. In airborne applications, variables such as altitude, desired resolution, and flight speed all come into play. For advanced machine vision applications, variables include speed and width of the inspection line, frame rates, and resolution. Headwall's experienced sales engineers can help you understand the variables and tradeoffs so that your application is perfectly matched to the solution we provide! 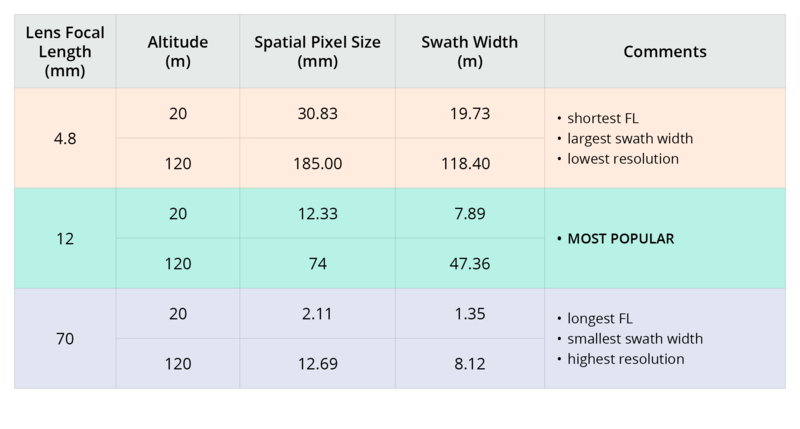 The objective is to optimize height (or altitude), spatial pixel size, and swath width by choosing the best lens for the variables in effect. 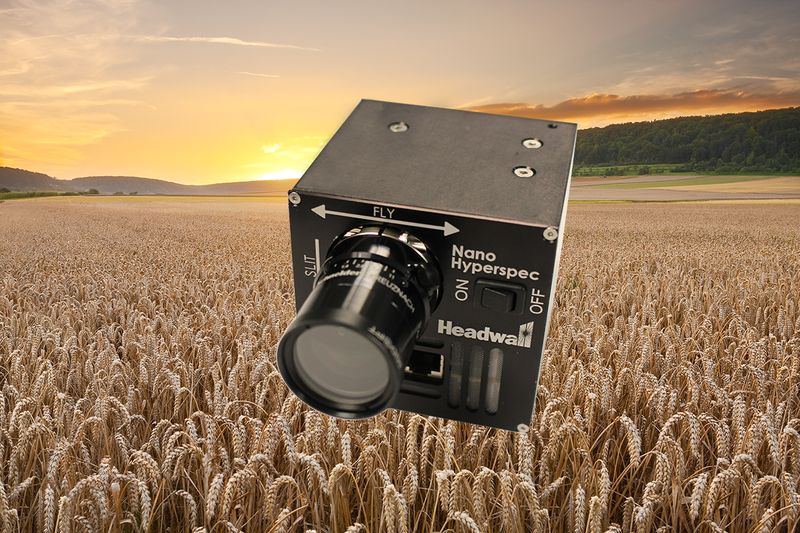 Headwall's Nano-Hyperspec sensor collects 270 spectral bands by 640 spatial pixels within the visible-near-infrared (VNIR) range from 400-1000nm. It is the world's most popular airborne hyperspectral imager. FOV depends on altitude and focal length. This is why Headwall offers a choice of lenses for Nano-Hyperspec...4.8mm, 70mm, and 12mm. Higher altitudes usually mean a wider FOV while lower altitudes mean a narrower FOV. 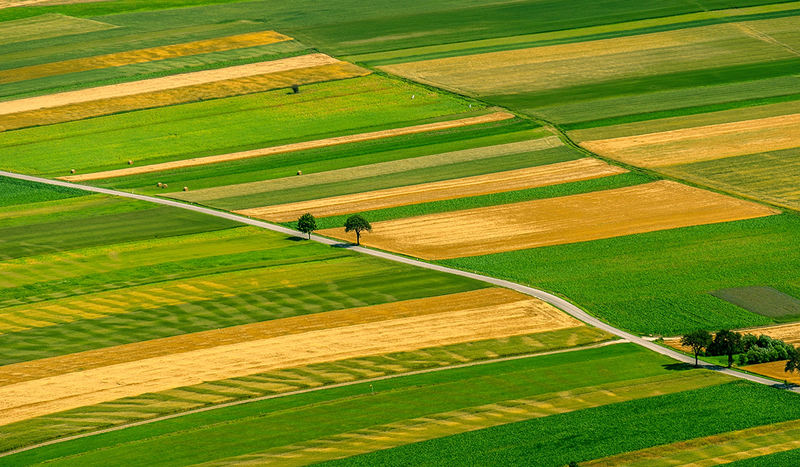 Therefore, higher altitudes typically translate into lower resolution. Similarly, a shorter focal-length lens equals a wider FOV while a longer focal-length lens equals a narrower FOV. The angular FOV is set by the lens, but the ground swath width (or linear FOV) depends on the altitude flown. Headwall's powerful 'Field of View Calculator' can work for you. Contact us to learn more! Choice of lens matters for Nano-Hyperspec®! The table below illustrates the relationship between spatial resolution and the acreage you'll cover. It is very much a trade-off, and these figures do NOT factor in variances in flying speed. Please note that other lenses are available. Please contact us for details! The objective of planning the flight is to achieve square pixels. 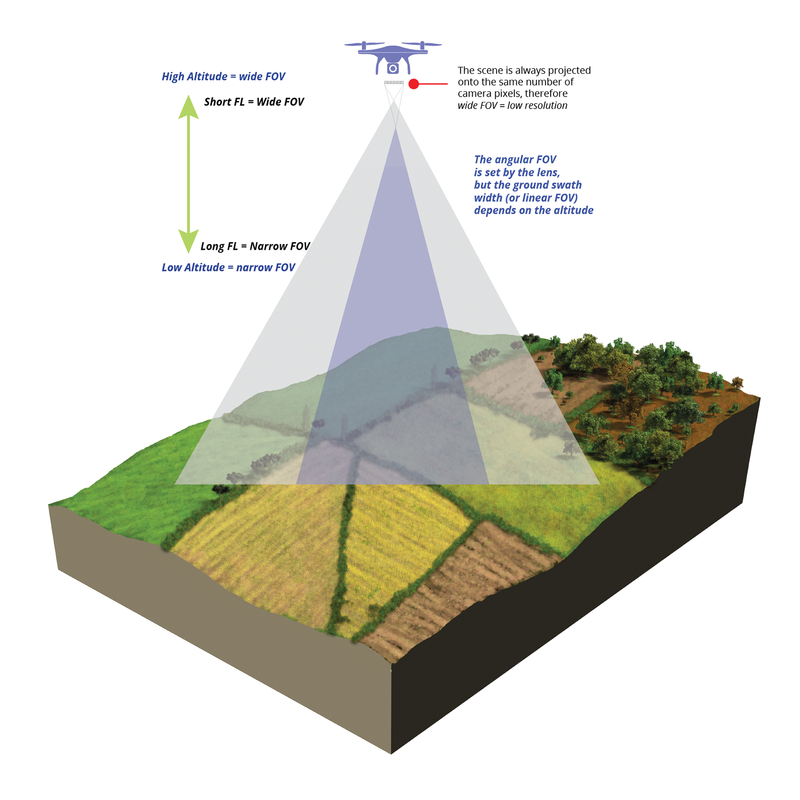 That is, matching the frame rate of the sensor to the flight speed of the UAV or aircraft. Square pixels require ONE Instantaneous Field of View (IFOV) per frame. If the frame rate is too slow, the pixels will not be square. Spatial resolution along the image slit depends on focal plane resolution (pixel pitch and number of pixels) as well as the field of view. 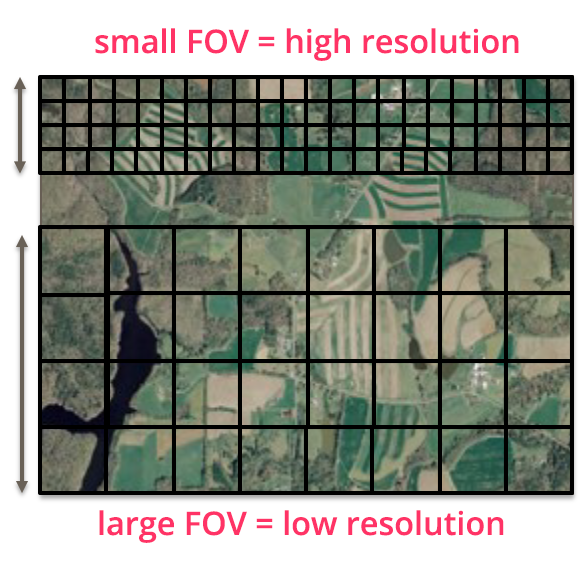 Spatial resolution in the travel direction depends on travel (flight) speed, slit width (one to three pixels wide, depending on throughput requirements), and detector integration time and/or frame rate. There are several factors involved in managing the flight. The first consideration is, "What resolution is required?" The answer to this important question will help determine the lens selection as well as the flying altitude. Next, "What are the dimensions of the scanning area?" This will help determine the number of flight lines needed. 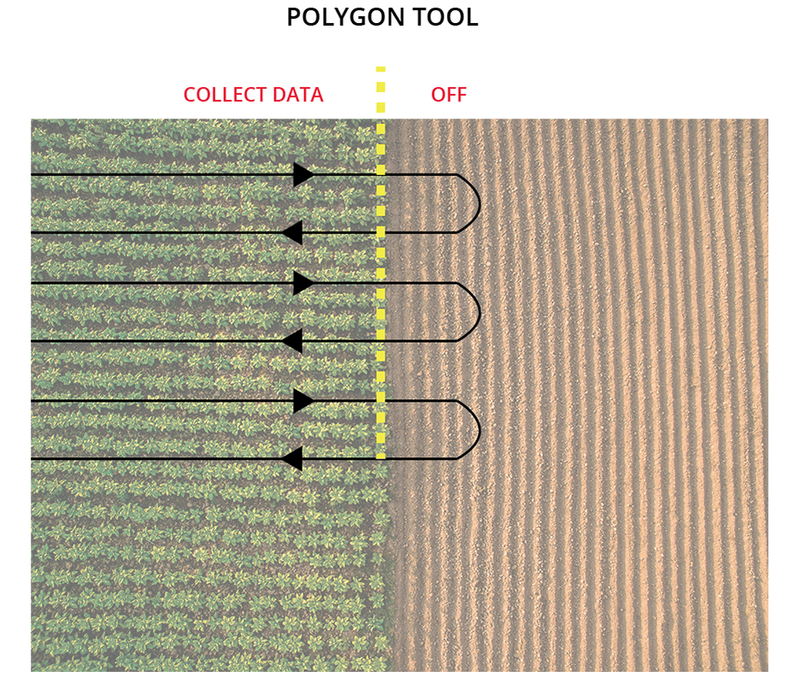 Headwall's polygon tool allows the user to pinpoint areas of data collection, which optimizes the flight parameters with respect to battery life and data storage. Please note that the polygon tool is NOT designed to manage the flight of the aircraft; it is only provided as an aid to users in defining data-collection coordinates. Click the button to the right to initiate a chat or ask us a question!